On average, there are a total of 3,287 traffic accidents each day in the United States. 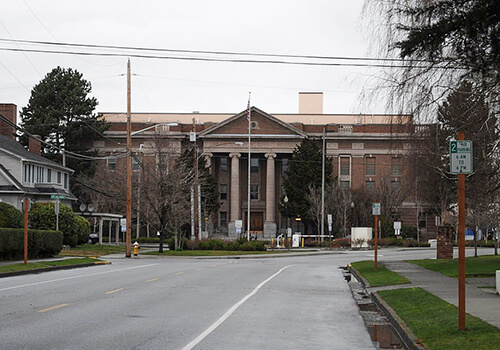 In 2011, the most recent year for available data in Washington State, Mount Vernon experienced a total of 507 collisions, of which 192 resulted in minor and major injuries. When you have been involved in a traffic accident, whether you caused it or were a victim of someone’s recklessness, there are a few key laws that affect your rights and legal options. The state of Washington has a “Statute of Limitations,” or laws that set a time limit on how long you need to seek legal relief after you suffer from harm. These laws are present in every state and, depending on the type of case you’re filing, there are varying time limits. For Washington, anyone who is injured or suffered property damage after a car accident has a maximum of three years to file a lawsuit. This limit applies for the filing, and not the resolution of, the lawsuit, and begins the day of the car accident. This limit is not valid for the filing of insurance claims. Regarding insurance, you will want to file claims directly following a car accident in Mount Vernon, WA to get your life back on track as soon as possible. Mount Vernon Car accident cases seem pretty straightforward at first since they all follow a basic pattern: an injury results from a crash, an insurance claim is filed or a lawsuit is filed, you receive compensation. Seems easy, right? Well, there are some cases in which the insurance adjuster or court decides that both parties are responsible for the collision. Proving who is responsible for an auto accident in Washington is not as easy as you may think, and many kinds of evidence are gathered to reach a logical conclusion. If you are found to be partly at fault for a car accident, the “pure comparative fault rule” is used to sort cases in which the person filing a lawsuit is also to blame. As an example, suppose your total damages (medical bills, vehicular damage, lost wages, and others) totals $10,000. You go to court and the jury decides you were responsible for 10% of that damage. What becomes of the $10,000 award? Using the pure comparative fault rule, you receive the damages award but an amount equal to the percentage that is your fault is removed. So, out of a $10,000 award, you take home $9,000, as the grand that is missing accounts for ten percent of the initial award. In the US, only two states do not require motorists to have some kind of auto insurance, New Hampshire and Virginia. If you do not have car insurance in Mount Vernon, it may affect your case. An experienced Mount Vernon car accident attorney can help you hold those responsible for an accident accountable and help you get the compensation you need after an accident. For help navigating the sometimes murky waters of car accident claims, contact the Mount Vernon Car Accident Attorneys at MyTrafficMan. With a network of attorney offices in Bellingham, Skagit County, Bellevue, and Vancouver, Washington, MyTrafficMan is a link to a select alliance of top caliber lawyers for Legal Care in DUI, criminal defense, car accident claims, and speeding ticket violations. Call 360-734-0908 to speak with an attorney, and visit our FAQ page for tips on what you should do immediately following an accident. You can also chat with one of our attorneys online and receive free legal advice.